Caleb Maddix is a force to be reckoned with at only 14 years old. 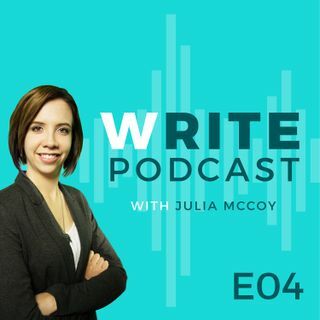 Julia interviews Caleb on how he got started so young; how his day begins at 4:30, with a Periscope live stream to more than 100 people; how he does sales calls four hours per day to grow his company; and how he published his book on Amazon inside just a few weeks. Caleb drops nuggets throughout: "you can never close the sale until you open the sale" and "the gun that kills people is the gonna, I'm gonna do ... See More this." Caleb has huge goals ahead, including a TED talk by age 15, millionaire by 16, seminar launch, and more. See more: expresswriters.com/writepodcast. Follow Julia's Write Blog at: expresswriters.com/blog.